For his outstanding contribution towards supporting the growth of IT industry in the country and especially in the North Eastern region, DG STPI Omkar Rai was conferred Digital Icon Award by Indian Express Group during its recently concluded Technology Sabha conference in Guwahati. 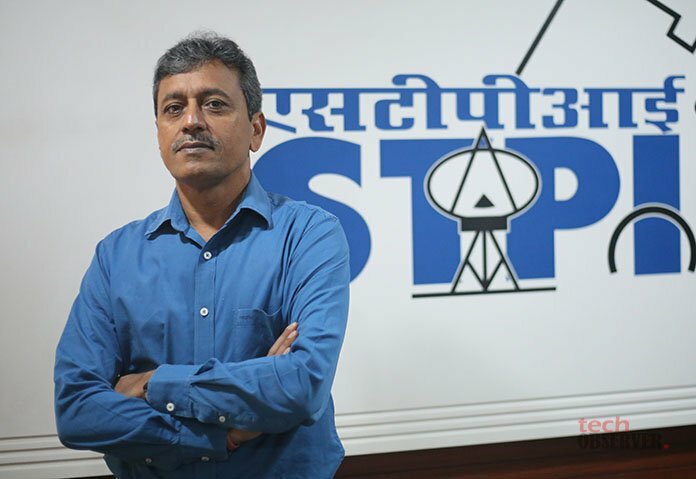 Rai who has been spearheading a silent IT intervention across the country in the form of creating necessary physical infrastructure and statutory support to state governments has over the years step up STPI focus in the tier-II, tier-III cities and tough regions like North East. 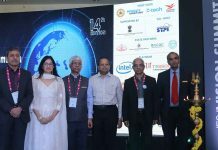 His organisation Software Technology Parks of India (STPI) was set up in the year 1991 by the central government as an autonomous society for encouraging, promoting and boosting the software exports from India. Today, STPI plays equal role in promoting both software development, hardware and R&D in India. According to different reports, as many as 4.5 lakh square feet incubation space has been created across the country by STPI. Its technology parks are available in almost all the state in the country. In fact, some of the states like Odisha has more than 5 technology parks built with the support of STPI. Recently, the central government also launched its ambitious BPO promotion schemes in non-metro cities via STPI. In cities like Patna, Guwahati and other parts of North East region, BPO promotion scheme has been able to create decent number of jobs. While speaking at the conference, Rai said that despite many challenges the IT industry of India has excelled year-on-year. Citing the report, he said that in FY 2017, India’s IT-BPM exports stood high at $117 billion which was a 65% of the global outsource. He emphasised that with $154 billion revenue, IT-BPM industry in India is poised to grow at 8%. The industry comprising 16,000-plus firms is estimated to employ over 3.9 million professionals directly and over 10 million people indirectly. “Given the growth trajectory of India’s IT success, the government is palpable to visualize a new India with initiatives that will propel the success story further. Keeping a tab on the past success and bright future, the government has already initiated many niche programmes such as Make in India, Digital India, Atal Innovation Mission and Startup India, which are focusing on creation of indigenous products and digitally empowered society,” said Rai. Rai also highlighted about the growing startups culture in India. He said with more than 4500 startups, India ranks third in the global startup ecosystem. Investment is rising, with the surge generating employment and providing solutions in areas from fintech to healthtech and edtech to agritech. “Government initiatives, entrepreneurial drive in today’s youth and an ecosystem of incubation together fuel the startup story. It’s not far from today that many of the budding tech startups would transform themselves into tomorrow’s global unicorns, not just in value, but making India a superpower in innovation and entrepreneurship,” said Rai. Under the Ministry of Electronics and Information Technology (MeitY), Government of India, STPI works for promotion of Indian IT industry, startups and job creation across the country. It maintains internal engineering resources to provide consulting, training and implementation services. 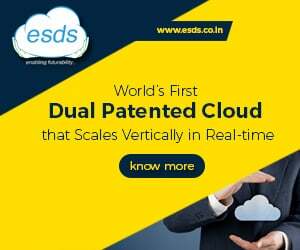 Many state governments, small medium businesses (SMBs) and large corporates use its infrastructure in plug and play mode for offering IT services. During Indian Express Group’s Technology Sabha conference, the editorial division of Express Computer magazine gives away e-governance awards to encourage use of technology in government organisation to improve internal efficiency, promote IT and hassle free interaction with citizen. Along with Rai, NIC DG Nita Verma, Secretary North Eastern Council Ram Muivah and Managing Director NERCORMP Shailendra Chaudhari were given Digital Icon Awards for their outstanding contribution for promotion of technology, job creation and infrastructure development in the North Eastern region.